You are here: Home / Personal Finance / What is your employment type? Understand the Nature of your Employment. Do you really know the nature of your employment? Are you an Employee of the company you work for or are you a contracted professional, who is on a retainer ship contract? You get Form 16 or Form 16A? So you have a great job, with great pay and you have got the world at your feet with a promising career ahead. Your mind is swinging between what you will do with the income and how you can now have that thing you always wanted, party, pay bills on time and if you are wise enough SAVE and INVEST. However, one important thing that you should be aware of is the Nature of your Employment. Just because you have a job with a good company doesn’t mean you are a ‘salaried’ individual. You can be a contracted employee and not ‘salaried’ person. Hence it is important to understand the type of your employment. Here’s How and Why? 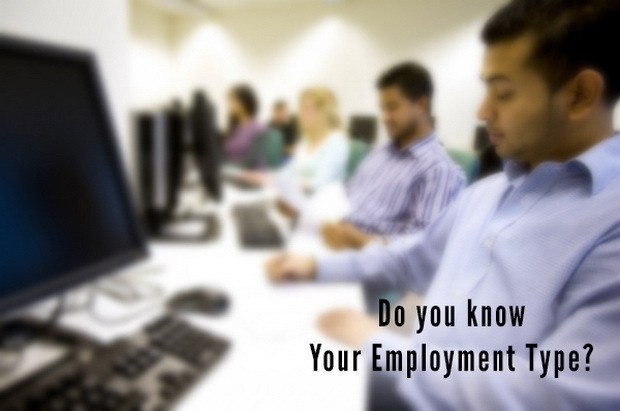 So now you may ask why it is important to know what the employment type is. You are getting a monthly income that you dub as a salary and it takes care of your needs and so why bother. Well, Great, don’t bother but there are certain things that will matter to you down the line and at that point it is crucial to know what type of employment you have. There are of course ‘consultants’ and ‘advisors’ and all, but they fall under contracted professionals unless there is a contract stating otherwise. 1. Duration: The most obvious thing that will determine the nature of you employment will be the mention of duration in your contract, for the period you will be ’employed’ with them. There will also be a mention of either the words ‘retainer ship’ or ‘professional services’ that will further clarify that it is a ‘contract for a professional’ and not an employee. 2. Pay Structure: The other things are the Salary Structure, Perks etc. that will further clear the air. Salaried Employees will be given a proper structure of their payments and the various deductions. They will usually be DA, HRA and Basic. But if you are a ‘Contracted Professional’ your remuneration will be mentioned as a simple amount per annum with no deductions at all. This is because usually the only deduction that takes place in case of a contracted individual is usually the TDS or Professional Tax as per the company policies. 3. Pay Slip: If you are an employee your pay slip will be detailed with the breakups of the Gross Salary and the Net Salary or ‘In-Hand’ Salary that most people like to call it. For a contracted Professional there will be mention of the words ‘Professional Fees paid for….’ this is obvious that you are a contracted pro, and not a salaried employee. 4. TAX Certificate – Form 16 vs. Form 16A: If the above points didn’t give you any clues as to the nature of your employment your Tax Certificate will. If you are an employee you should be receiving Form 16 from your company for filling your taxes and if you are anything but an Employee you will receive Form 16A. Form 16 is a certificate under section 203 of Income Tax Act for Tax Deducted at Source or TDS for income distributed in form of ‘Salary’. For any other kind of income distributed apart from salary to any individual, then the company will issue a certificate called Form 16A. If you get Form 16A, then my friend you are not a Salaried Employee. 1. Tax Filling: Those having Form 16 or in other words being salaried employees will have a lower amount deducted in the form of TDS and hence the TDS refund amount maybe lower. This is because the TDS for employees is only deducted on the Basic Salary amount. For Contracted Professionals, TDS is deducted on the entire package as there is no Basic Salary or other bifurcations of the payment structure. On the plus side, if you are a Contracted Professional, you are entitled to claim certain expenses that you incur due to your job, which the employees are not entitled to claim. Employees fall under the ‘Income from Salary’ tax structure while Professionals may be taxed under the head ‘Income from Business or Profession’. 2. Loan and Credit Card Applications: This is where a lot of people realize their true nature of employment for the first time. When an individual applies for a loan if he/she is an employee, the loan process is much faster, and smoother. If you are a Contracted Professional, be ready for lengthy paperwork, slightly longer time for approvals, few more verification rounds. This is because the bank and financial institutes exercise caution when dealing with people having Form 16A and it is because they assume that the chances of the contract being terminated or not being renewed are higher. Of course even an employee can be fired, but that’s the way it is. Same applies for credit cards. Unless the company you are employed with on contract is reputed or well known, Credit Card companies will frown upon you. 3. Enjoying perks from the company: Employees definitely score over their contracted counterparts in this regards. Perks are often dished out for employees, but not for contracted individuals. There can be a list of leaves ranging from Medical Leaves, LTA, Casual Leaves, and more that people on contracts do not enjoy. There can even be Maternity and Paternity leaves for employees that will not be for Professionals, but now-a-days a lot of companies consider this one. Also various benefits like Gratuity, Pension, and EPF etc are enjoyed by employees and not so much by Contracted individuals. 4. Termination of contract: As an employee there will be clauses as to when and how can they quit or the company fire them. In case of contracts it is optional for both the company and the professional whether or not to renew the contract and this cannot be disputed as it will be clearly mentioned that the contract expires on so-and-so date. 5. Certain Insurance Covers: If you have a home loan, accidental cover or any other form of insurance, that has a clause that in case of unemployment they will reimburse certain amount of money for 3-4 months to help you sail through the time you look for an alternative job, don’t be surprised if this clause does not apply to you if you are a Contracted Professional. This is because; if you read the fine print it mentions that it applies to employees. They assume that in case of Professional contracts, there is bound to be times when contracts aren’t renewed and hence even if there is genuine unemployment without the expiry of the contract, still such clauses and benefits will not apply to you. 6. Private Practise: Employees are often barred to carry out any other works except for their job for which they are employed as per the employment contract. However in case of professionals, except for provisions of working for direct competitors or setting up a competing business, they are usually free to take up other part-time consultations, freelance assignments and other works as they like. There may be a clause that will have them inform their current contractor about such activities, but they can work on other projects as well. When you take up a job it is important to know what kind of job you have. Be aware of your rights and more importantly what sort of employment you have. Nature of employment, whether you get Form 16 or Form 16A matters in all the above factors, and it is advised to be well aware of it. For all other purposes you can call your monthly income as ‘Salary’ as it’s a generic word for income arising out of ’employment’, but there is of course a technical difference as we saw above. Did I miss something? Share your experiences; feel free to leave your comments below. Can you elaborate on a publishing company hiring the services of a photography? And what it entails to do a retainership agreement and fees? Publishing company hiring a Photographer can be permanent as well as on temporary contract basis. 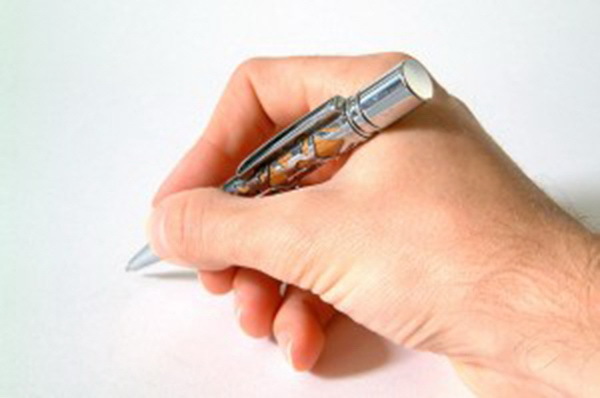 Depending on the Offer Letter and the terms mentioned there in you can know the nature of your employment. If it is a retainership agreement then it is a contractual nature and can be renewed as per company’s requirements. The fees again are the compensation as decided by the company and conveyed in the agreement.